The filibuster has been used in Missouri to delay and even kill legislation. Steven Anthony looks at its uses, hears from those who have used it, and explains how to get around a filibuster. 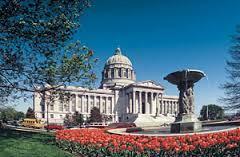 The rules of the Missouri Senate do allow the use of the filibuster to delay a vote on a bill or to force compromise. One of the lawmakers who has used the filibuster quite often is St. Joseph Republican Senator Rob Schaaf. Despite being in the majority, he explains why he's used it many times. “Sometimes I might use the filibuster to drive it to a compromise or sometimes I might have a principle that I just don't want to violate and just to stop legislation," he said. Kevin Engler is the former Missouri Senate Majority Leader and current state representative. He said over his time in the legislature, the nature of the filibuster has changed. “It used to be you filibustered when you were trying to get a bill altered or changed. Now, the tendency is if you're against the bill and you're going to vote no, instead of voting no, you try to filibuster. You get two or three of your friends together and threaten to filisbuter and then you don't have to vote no at all." Phill Brooks has been a statehouse reporter in Missouri for over 40 years. He said the filibuster is what makes the Senate unique and special. "It's the tradition that in the Missouri Senate, the ability of any one member to stall, if not stop, a vote on a bill or a small minority of members to stop a bill empowers each individual member," he said. But there are ways to get around the use of the filibuster and one way is a parliamentary procedure known as moving the previous question. In the Missouri Senate, using the previous question is a tactic usually orchestrated by the leadership and requires five senators to sign their name on a sheet of paper. If five senators sign the paper, debate is shut off and a vote occurs on the stalled legislation. Engler said the rule is there so things can get done. "It is a necessity that used, but only used rarely and I think that's the best use of it." When it is used, Brooks said it poisons relationships in the Senate. "Once that happens, you have insulted the minority party, you have stripped them of one of the things that makes the Senate special for minority party members, and they’ll extract a price,” he said. In 2014, Republicans moved the previous question to enact a 72-hour rule before women can get an abortion after their initial consultation. After they did that, the veto sessions stopped and senators didn’t consider any other bills. Shaaf said he didn’t approve using the maneuver then, but he thinks the move is necessary at times. “I didn’t think that that was an appropriate use of it, but it was used,” he said. “No, it should be because there are cases when decisions must be made,” Shaaf said. When it comes to using the previous question, University of Missouri political science professor Peveril Squire, said lawmakers have to keep the filibuster’s purpose in mind. “When the idea’s that you’re allowed to debate as long as you wish, most members come to value that, and so they’re reluctant to impose the use of the previous question,” he said. But when is the best time to use a filibuster? It can work at the end of a legislative session when time is running out, Squire said, but most of the time it’s just a tactic to delay legislation. “Most of the time, the filibuster will not prevent a majority from being able to accomplish what it wants, but it might make it more difficult for that to happen,” he said. Last year, Kansas City Democrat Jolie Justus filibustered a pro-gun bill in the final hour of the session. With two weeks left in the 2015 legislative session, maybe we’ll see a repeat of last year.